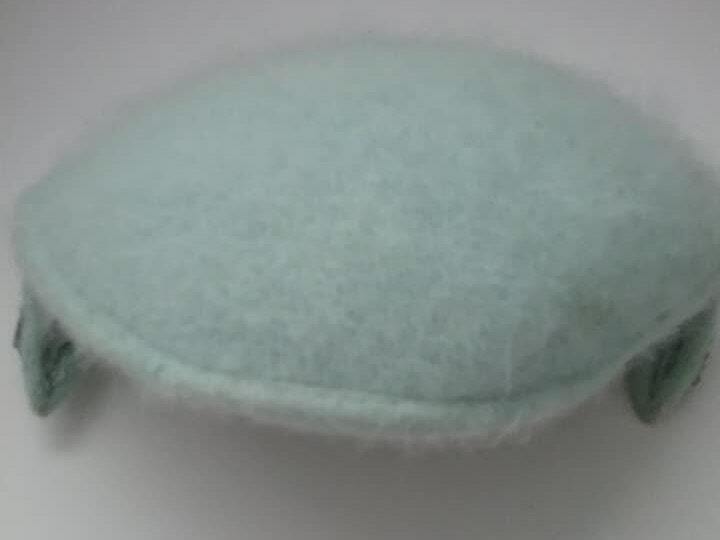 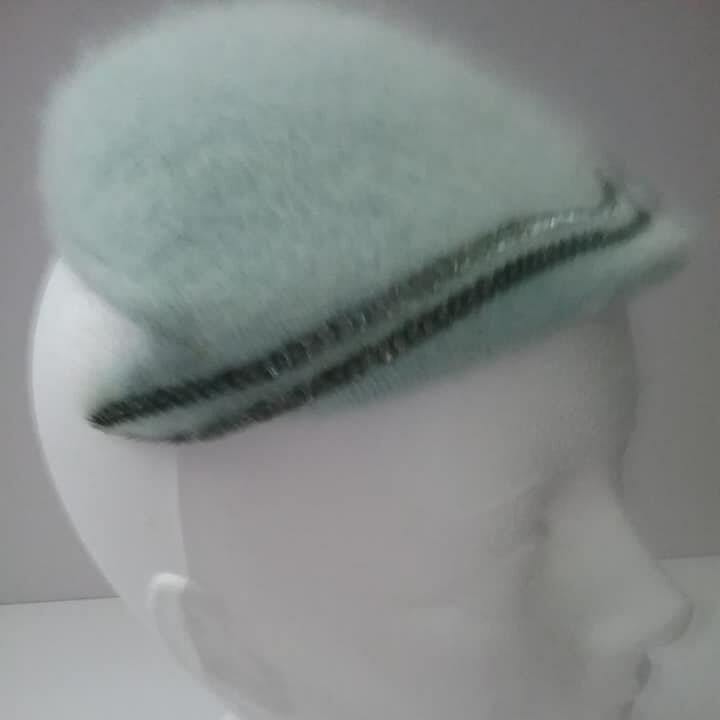 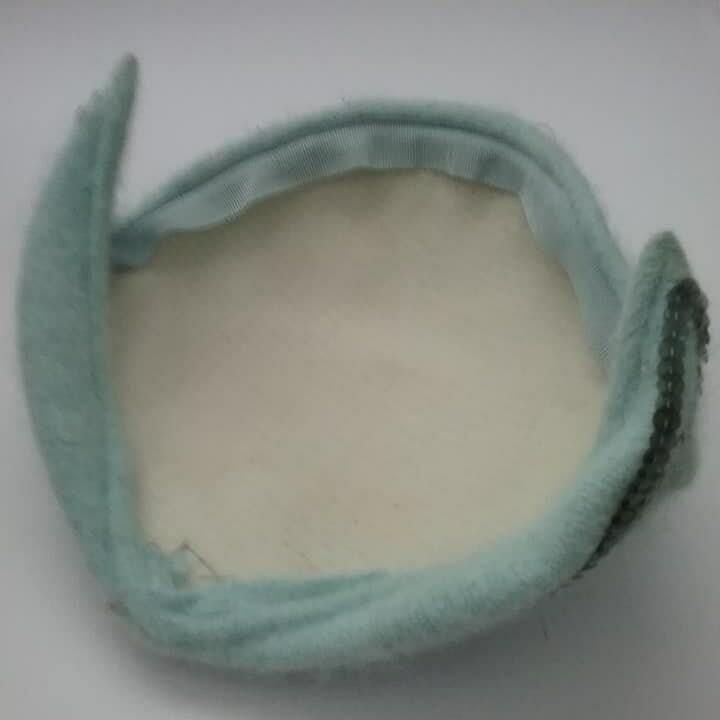 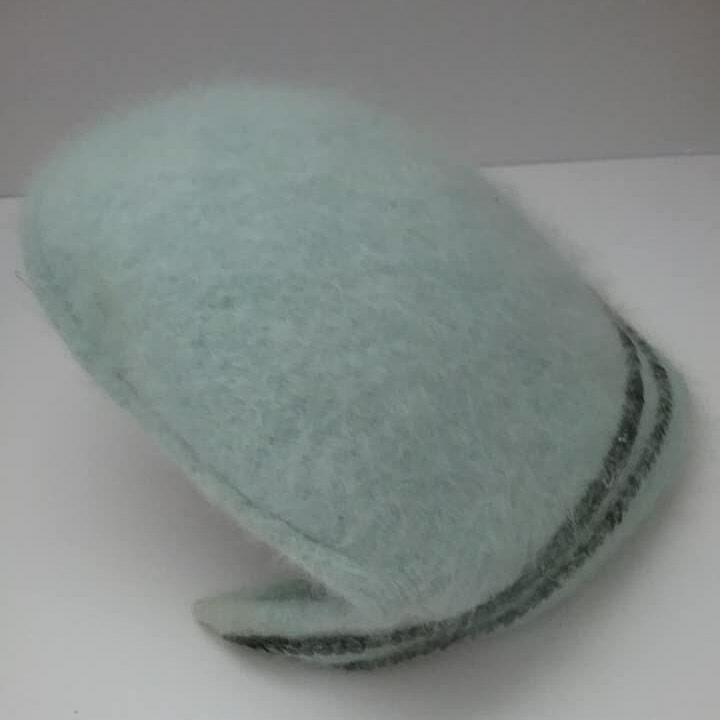 Rare vintage baby blue mohair Calot. 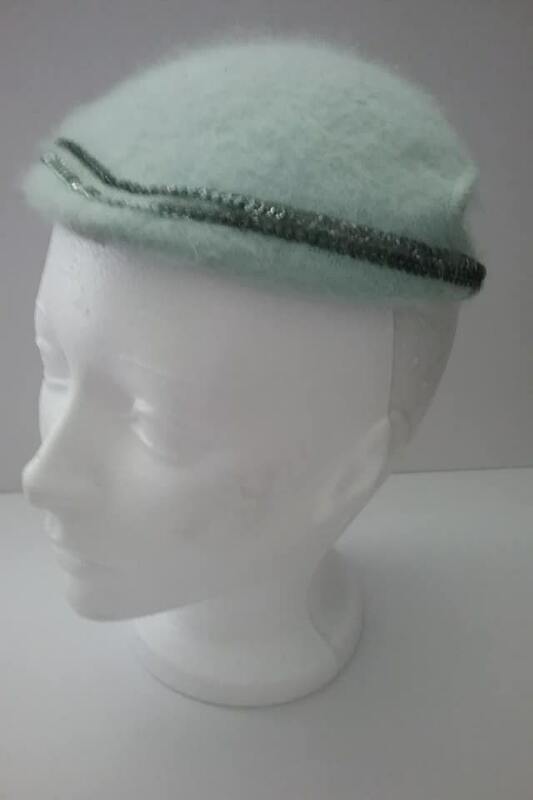 Two sequined trim rows on outer sides. 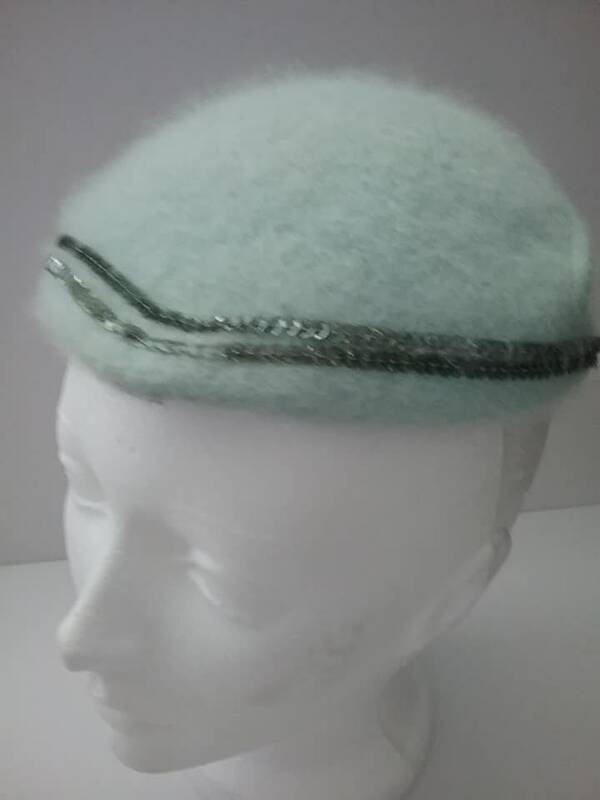 Calot, Caplet or Fascinator,is approx 6.5" long x 6" w. As it sits upon the crown of the head, one size fits most. 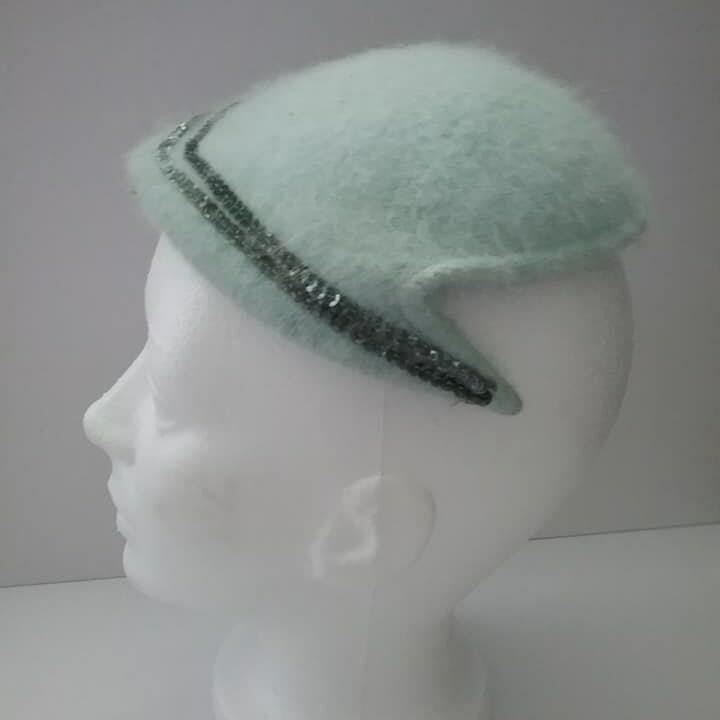 The lovely light blue mohair is stunning.